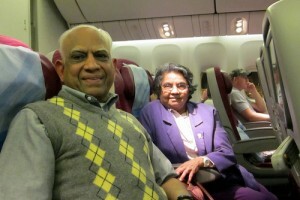 Every parent visiting USA, or other elder relatives such as in-laws or uncles or aunts, who plan to visit the United States even for a short-term duration, or anyone visiting America for whatever the purpose of the visit may be, must always consider buying visitor insurance or travel medical insurance. Visitor’s health insurance plans have been specifically designed to meet the requirements of visiting parents, providing accident and sickness coverage while in America or can be utilized in other countries outside the US. When it comes to plan choices, there are a number of US visitor insurance plans available for parents visiting USA. Many policies allow the insured to use doctors, laboratories, hospitals, etc. in the USA based PPO network of providers, where direct billing may be possible. Also, certain plans offer waiver of co-insurance for billing incurred in the provider network. There are a lot of international students and professionals on a work visa, who live and work/study in USA. Their parents who stay abroad travel to the USA when they make plans to visit their children, for such individuals and families, it is absolutely essential and prudent that they be covered under a visitor medical insurance. Visitor insurance offering travel health insurance for non-US citizens visiting USA are administered with great care by top rated US based companies, with all claims handling and rules regarding such processes is a highly structured market. Residents of foreign nations can easily avail the policy by completing the online application in insurance company website. To purchase a suitable plan for the visiting parents, one needs to provide a few details such as age, the maximum coverage benefit needed, the start and end dates to determine the coverage period required, country of citizenship, primary destination country, passport number and name of a beneficiary. No medical check-up or proof of health records is required to purchase a visitor insurance policy, popular plans include Atlas America, Patriot America, Liaison Continent, Visit USA, Inbound USA, Immigrant Secure, and more. Not only parents visiting USA, but also foreign students, exchange workers, scholars and immigrants can subscribe to these plans instantly online.